​ "PHYTOCHEMICALS MAY BE POTENTIALLY PROTECTIVE AGAINST ESTROGEN-MEDIATED BREAST CANCER." In the Jeyabalan J et al. 2015 study, the researchers studied both aqueous and non-aqueous extracts of ajowan, angelica, anise, caraway, carrot, celery, coriander, cumin, dill, fennel, and parsley for their "free radical-scavenging activity, and to inhibit cytochrome P450s in two separate reactions involving 1) 4-hydroxy-17B- estradiol (4E2), DNA, and CuCl2 (copper chloride), and 2) 17B-estradiol, rat liver microsomes, cofactors, DNA and CuCl2." "Chemopreventive activity of the spices extracts was assessed by the inhibition of cytochrome P450s (detoxifying enzymes) associated with metabolism of 17β-estradiol (estrogen) .... E2 (estrogen) treatment may induce an environment conducive to the production of its carcinogenic metabolites in the liver." But the researchers also "examined the capacity of E2 to induce oxidative DNA adducts in a cell-free system and its modulation by the various spice extracts." Results: In the microsomal (small particle in cytoplasm attached to ribosomes) reaction: "Aqueous (5 mg/ml) and non-aqueous extracts (6 mg/ml) (of the spices) substantially inhibited (83–98%) formation of DNA adducts". In the nonmicrosomal reaction: "...Only aqueous extracts showed the inhibitory activity (83–96%). Adduct inhibition was also observed at five-fold lower concentrations of aqueous extracts of cumin (60%) and caraway (90%), and 10-fold lower concentrations of carrot seeds (76%) and ajowan (90%)." Import: "These results suggest the presence of 2 groups of phytochemicals: polar compounds that have free radical-scavenging activity and lipophilic compounds that selectively inhibit P450 activity associated with estrogen metabolism." Conclusion: "Because most of these Apiaceae spices are used widely with no known toxicity, the phytochemicals from the Apiaceae spices used in foods may be potentially protective against estrogen-mediated breast cancer." USE THE WHOLE HERB, TURMERIC! THE WHOLE HERB COMPRISES ALL THE HEALTHFUL COMPOUNDS, NOT JUST CURCUMINOIDS, LIKE CURCUMIN! SEE THE KIM JH ET AL. 2012 STUDY IN A BOX BELOW. PHONE CONVERSATION WITH BHARAT AGGARWAL, PHD, JUNE 1, 2015. In a June 1, 2015 telephone conversation, Dr. Bharat Aggarwal stated that "NEITHER" turmeric nor curcumin has low bioavailability. The common belief is that curcumin has low bioavailabilty, necessitating the taking of the black pepper extract, piperine, with it to make it more bioavailable. 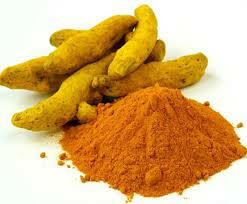 To the contrary, Dr. Aggarwal commented that in just two minutes, the curcumin is all over the body. Indeed, in mice given curcumin, in two minutes, the curcumin was in the liver, spleen, lung, kidney, blood, heart, bone, muscles, and brain. Thank you, Dr. Aggarwal, for your kindness in speaking to us! EDITORS' NOTE: The Editors wish to reiterate their philosophy favoring the taking of whole herbs, such as turmeric, to derive all of the benefits of all of the known compounds and those yet to be discovered. Could it be that turmeric is even more powerful than curcumin in inhibiting cell growth? Yes! Much less turmeric than curcumin was needed to inhibit cell growth. Could it be that the compounds in the whole turmeric made the difference? ​ (See Kim JH et al.,Turmeric Curcuma longa inhibits inflammatory nuclear factor (NF)-κB and NF-κB-regulated gene products and induces death receptors leading to suppressed proliferation, induced chemosensitization, and suppressed osteoclastogenesis, Mol Food Nutr Res, 2012.) . * Inhibit the transformation of a normal cell into a cancer cell. * Kill cells that mutate into cancer. *Prevent tumors from spreading to other organs. *Prevent the development of the blood supply necessary for cancer cells to form and spread. *Enhance the cancer-destroying effects of chemotherapy and radiation. "For example, in breast cancer cells curcumin induced 33% growth inhibition, while 66% growth inhibition was observed by turmeric containing equivalent amount of curcumin. A similar trend was observed with other tumor cells. These observations indicate that components other than curcumin might contribute to the potency of turmeric." Kim JH et al., 2012. OLDIE BUT GOODIE 1992 STUDY - CAN TURMERIC DECREASE CARCINOGENS IN SMOKERS? In the 1992 Polasa K et al. study, the anti-cancer effects of turmeric were tested in sixteen chronic smokers. What is really cool is that in this experiment, the smokers were only given 1.6 grams, a small amount of the whole herb, turmeric, to take each day. Plus, six non-smokers were tested. Results? After thirty days on the 1.5 g/day of turmeric, the smokers "significantly reduced the urinary excretion of mutagens (markers for possibly causing mutations in cancer)." At the same time, the turmeric had no effect on the mutagen excretion of the non-smokers. Can turmeric help detoxify and get rid of toxic chemicals found in tobacco and other things and prevent cancer? Conclusion: "These results indicate that dietary turmeric is an effective anti-mutagen and it may be useful in chemoprevention." "Cancer stem cells (CSCs) are proposed to be responsible for initiating and maintaining cancer and contribute to recurrence and drug resistance." EXCERPT FROM GREEN MED INFO -"ARE CANCER STEM CELLS THE KEY TO DISCOVERING A CURE?" "The most deadly cell type within a tumor or blood cancer, known as cancer stem cells (CSCs), has the ability to give rise to all the cell types found within that cancer. This means CSCs are tumorigenic (tumor-forming) and should be the primary target of cancer treatment because they are capable of both initiating and sustaining cancer." BREAST STEM CELL RENEWAL - CAN CURCUMIN AND PIPERINE TARGET STEM CELL RENEWAL? Sayer Ji wrote, "The most deadly cell type within a tumor or blood cancer, known as cancer stem cells (CSCs), has the ability to give rise to all the cell types found within that cancer." Experimenting with dietary curcumin (from turmeric) and piperine (from black pepper) and breast cancer stem cells, researchers have found that, "Curcumin and piperine separately, and in combination, inhibit breast stem cell self -renewal." Kakarala M et al., 2009. It was in 2003 that scientists at the University of Michigan first discovered breast cancer stem cells in a breast tumor. Amazingly, even a few cancer stem cells can cause tumor growth and metastasis. And U. of Michigan researchers, Kakarala M et al., in their 2009 study, pursued the cancer stem cell hypothesis that "asserts that malignancies arise in tissue stem and/or progenitor cells through the dysregulation or acquisition of self-renewal." Experimenting with dietary curcumin (from turmeric) and piperine (from black pepper), the researchers found that," Both curcumin and piperine inhibited mammosphere (stem cells have the ability to form mammospheres) formation, serial passaging and percent of ALDH+ (breast stem cell marker) cells, by 50% at 5 μM and completely at 10 μM concentration in normal and malignant breast cells. .... Wnt (stem cell control) signaling was inhibited by both curcumin and piperine by 50% at 5 μM and completely at 10μM." 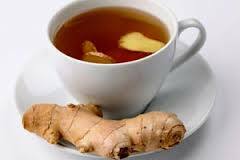 Thus, "Curcumin and piperine separately, and in combination, inhibit breast stem cell self -renewal." CURCUMIN, TOXIC TO CANCER STEM CELLS? CURCUMIN, NON-TOXIC TO NORMAL STEM CELLS? BUT WHAT ABOUT HEALTHY BREAST STEM CELLS? IS CURCUMIN TOXIC TO STEM CELLS? "Curcumin has little toxicity against normal stem cells. This may due to curcumin's different effects against cancer stem cells and normal stem cells." ​ Sordillo PP et al., 2015. Why is it important that curcumin NOT be toxic against normal stm cells? Sayer Ji wrote, "Normal stem cells are essential for health because they are responsible for differentiating into normal cells that are needed to replace damaged or sick ones. If curcumin were to kill normal cells, like radiation and chemotherapy, it would not provide a compelling alternative to these treatments." In a 2015 study, Sordillo PP et al. studied the effects of curcumin on cancer stem cells and on normal stem cells. For Cancer Stem Cells: "Curcumin has been shown to have numerous cytotoxic effects on cancer stem cells (CSCs). This is due to its suppression of the release of cytokines, particularly interleukin (IL)-6, IL-8 and IL-1, which stimulate CSCs, and also to its effects at multiple sites along CSC pathways, such as Wnt, Notch, Hedgehog and FAK." For Normal Stem Cells "Curcumin has little toxicity against normal stem cells (NSCs). This may be due to curcumin's different effects on CSCs and NSCs (normal stem cells)." Why is it important that curcumin NOT be toxic against normal stem cells? Here is a wonderful explanation by Sayer Ji, "Normal stem cells are essential for health because they are responsible for differentiating into normal cells that are needed to replace damaged or sick ones. If curcumin were to kill normal cells, like radiation and chemotherapy, it would not provide a compelling alternative to these treatments. The study addressed this point:"
1. "Curcumin has been shown to have a much greater uptake by malignant cells compared to normal cells..... Since curcumin has been shown to accumulate more in cancer cells than in bulk tumor cells, it might be expected as well that it would accumulate more in CSCs compared to NSCs. 2. Another explanation is that curcumin not only directly affects cells but their microenvironment as well. Under normal conditions, there is a delicate balance between proliferation-promoting and proliferation-inhibiting signals from the environment Curcumin appears to shift the microenvironment around these cells to one that is adverse to proliferation of CSCs, but conducive to NSCs. As noted, curcumin has been shown to suppress the release of pro-inflammatory cytokines. 3. "A third explanation is that curcumin's direct actions against CSCs may not be solely through its toxic effects. It has been suggested that it is possible to target CSCs not by causing cell death but by inducing these stem cells to differentiate." CAN CURCUMIN HINDER BREAST CANCER STEM CELLS IN THEIR MIGRATION PATHWAY? CURCUMIN HINDERS BREAST CANCER STEM CELLS' MIGRATORY PATHWAY. There is a role for cancer stem cells in metastasis. These cancer stem cells have "preferential ability to initiate and propagate tumor growth" and a "selective capacity for self-renewal and differentiation into less tumorigenic cells". Cancer progresses as the cells lose their epithelial characteristics and gain a "migratory and mesenchymal phenotype", for which it is necessary to downregulate E-cadherin (cell-to-cell adhesion molecule). ​ Curcumin, via a complex process, is able to suppress the progression of breast cancer by restoring E-cadherin. Mukherjee S et al., 2014. In the 2014 Mukherjee S et al. study, the researchers explored the migratory potential of breast cancer stem cells, and the effect of curcumin on this migration. There is a role for cancer stem cells in metastasis. These cancer stem cells have "preferential ability to initiate and propagate tumor growth" and a "selective capacity for self-renewal and differentiation into less tumorigenic cells." These cancer stem cells may be "enriched" in circulating cancer cells in the blood. In addition, the "epithelial-mesenchymal transition (EMT), an early step of tumor cell migration, can induce differentiated cancer cells into a cancer stem cell-like state." Thus, there is a "link" between cancer stem cells and the epithelial-mesenchymal transition. There is a suggestion that," Cancer stem cells may underlie local and distant metastases by acquiring mesenthymal features which would greatly facilitate systemic dissemination from the primary tumor mass." Cancer progresses as the cells lose their epithelial characteristics and gain a "migratory and mesenchymal phenotype", for which it is necessary to downregulate E-cadherin (cell-to-cell adhesion molecule). Curcumin, via a complex process, is able to suppress the progression of breast cancer by restoring E-cadherin. Specifically, curcumin "inhibits beta-catenein nuclear translocation, thus impeding tans-activation of Slug. As a consequence, E-cadherin expression is restored, thereby increasing E-cadherin/beta-catenin complex formation and cytosolic retention of more beta-catenin to finally suppress endotheilial-mesenchymal transition and migration of breast cancer stem cells." CURCUMIN FOR TRIPLE NEGATIVE BREAST CANCER! ​ HAVE TRIPLE NEGATIVE BREAST CANCER? CURCUMIN! Testing turmeric in mice, there was an estimate that the mice were approximately given 25mg/diet of curcumin. The "data showed that tumors of mice treated with curcumin were smaller than those observed in controls, indicating that curcumin has an antitumor effect on breast cancer cells". It was found that,"Curcumin inhibits growth and angiogenesis through the modulation of the NF-kb pathway." The NF-kb pathway is a pro-inflammatory signaling pathway. Bimonte S et al., 2015.
n the Bimonte S et al. 2015 study, the researchers "dissected the role of curcumin on tumor growth and angiogenesis" in a mouse model of triple negative (not sensitive to hormones) breast cancer. For their first study, the researchers found that curcumin, in vitro, "has a role in the regulation of proliferation and apoptosis of triple negative breast cancer cells." Next, in a mouse model of breast cancer, the researchers showed that curcumin was able to inhibit tumor growth and angiogenesis " by influencing the expression of NF-kB (inflammatory)-regulated gene products (cyclin D1- involved in cell progression; PECAM--1- activationplatelet/endothelial cell adhesion molecule; and p65- a NFk-kB subunit participating in the inflammatory process). "Specifically, we showed that curcumin is able to deregulate the expression of cyclin D1, PECAM-1, and p65, which are regulated by NF-κB." To test the mice, there was an estimate that the mice were approximately given 25mg/diet of curcumin. The "data showed that tumors of mice treated with curcumin were smaller than those observed in controls, indicating that curcumin has an antitumor effect on breast cancer cells. Thus, "... Curcumin inhibits tumor growth and angiogenesis through the modulation of the NF-kB pathway." IN BREAST CANCER CELL SPHEROID MODEL, 6-SHOGAOL INTERFERES WITH STEM CELLS' RENEWAL PATHWAY!! 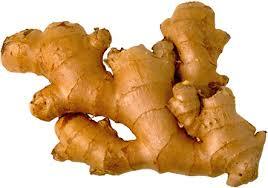 What are shogaols from ginger? In their 2015 study, Ray A et al. wrote, "Ginger (Zingiber officinale) is a well known herb consumed as a spice and food as well as widely used as herbal medicine for various ailments. A number of biologically active ingredients including gingerols and its various derivatives have been identified and synthesized from ginger in recent years. One important class of derivatives are shogaols that are primarily the dehydrated products of gingerols and are found exclusively in dried ginger." In particular, 6-shogaol has been used for its anti-cancer effect. In cancer, it is the cancer stem cells (CSCs) that must be eradicated. Representing only .2% - 1% of the cancer cells, these subpopulations have "stem cell-like properties, such as the ability to self renew, continuous differentiation, and an overall innate resistance to conventional chemotherapeutic agents (ilcluding paclitaxel, doxorubicin, 5-fluorouracil, and platinum drugs)." And what regulates the growth of stem cells? The Wnt/B-catenin, Notch, and Hedgehog pathways. Since many chemo drugs do not work against stem cells, how about testing 6-shogaol? Results: Normally, testing is done on a monolayer (flat) culture. But, as there aren't many CSCs in a tumor, a method has been devised to grow these stem cells in large numbers in the form of spheroids (a three-dimensional model more resembling a tumor). " In this study we have found that the ginger product 6-shogaol was effective in breast cancer cells in monolayer culture and spheroid culture in comparable concentrations and in conditions where taxol (a chemo drug), even though highly effective in monolayer cells, was completely ineffective." In fact, "In contrast, taxol, even though it was highly active in monolayer cells, did not show activity against the spheroids even at 10000 fold higher concentration compared to 6-shogaol." " It reduces the expression of CD44/CD24 cancer stem cell surface markers in breast cancer spheroids (3-dimensional cultures of cells modeling stem cell like cancer). It induces programmed cell death primarily through the induction of autophagy, with apoptosis a secondary inducer. It exhibits cytotoxicity (cell killing properties) against monolayer (1-dimensional cancer model) and spheroid cells (3-dimensional cancer model)." Conclusion from study: "Our study shows the efficacy of 6-shogaol on both breast cancer monolayer cells and spheroids by interfering with stem cell self-renewal pathway. This report thus places it as a promising therapeutic agent which should be further followed up for breast cancer treatment."